In a message on December 30, 2017, Maryam Rajavi, the President-elect of the National Council of Resistance of Iran, sent a message to Iranian women and men, admiring their courage. She reiterated that there is a price for freedom that every nation must pay. Hail to you and hail to our beloved cities who have risen up against poverty, hunger and unemployment, under the mullahs’ repressive occupation. Hail to Mashhad, Neyshabur, Kashmar, Quchan, Birjand, Shahrud and Yazd. You showed that despite massive repression and widespread arrests, the Iranian people’s freedom movement is simmering like amber beneath the ashes and their uprising is waiting in the wings. You created a turning point in the protest movement of the people of Iran which confirms that the clerical regime is in its terminal phase. 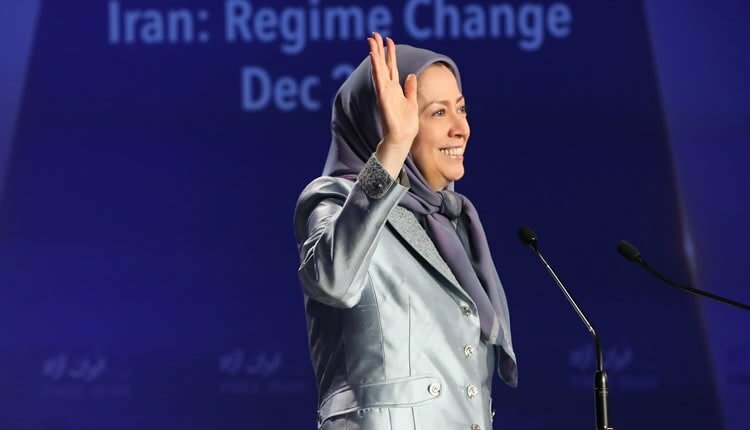 You showed that the Iranian people’s uprising and protests target the entire regime and defy all its criminal, corrupt and plunderer factions. And you showed that ending the economic crisis and corruption, repression, and the various other crimes of the mullahs is only possible by overthrowing their religious dictatorship. Your protests have stunned the regime. Your fearless spirit has aroused admiration across the globe. The women who are at the forefront in many scenes are the source of pride for Iran and all Iranians. Now is the time to expand and spread the bastions of rebellion for freedom. I call on my compatriots across the country to rise up and join this uprising. And we can free our occupied homeland. The mullahs must go. Sovereignty belongs to the people of Iran.